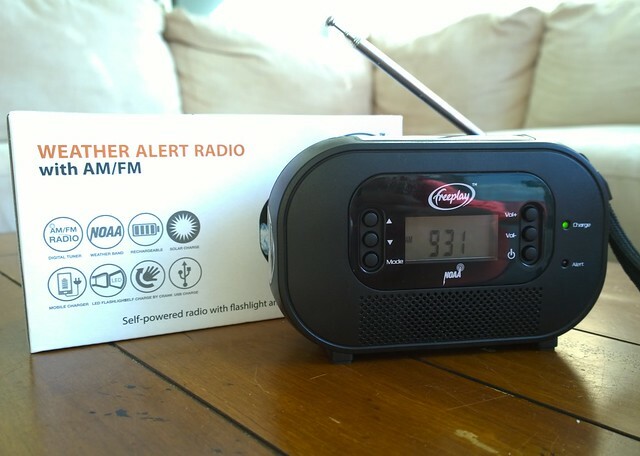 This, my friends, is Encore Buddy, a weather alert radio from Freeplay, a lightweight but durable everyday radio for listening to anywhere – at home or in the middle of nowhere – and is a great edition to an emergency preparedness kit. 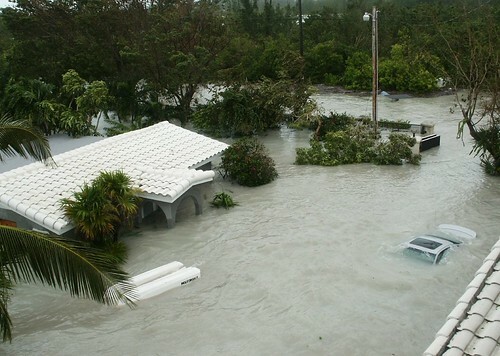 Back in 2005, my husband and I lost most of our tangible possessions in a flood. Thankfully, no one was injured, but we also lost electricity, clean water and most forms of communication for about 72 hours. We did have a radio, though, and while we couldn’t use it to communicate out, we could use it to find out where Red Cross was stationed and where we could get bottled water and MREs. So take it from my personal experience: you DO want a good weather radio in your emergency kit or at least somewhere in your home that you can quickly grab. Encore Buddy is not just a weather alert radio. 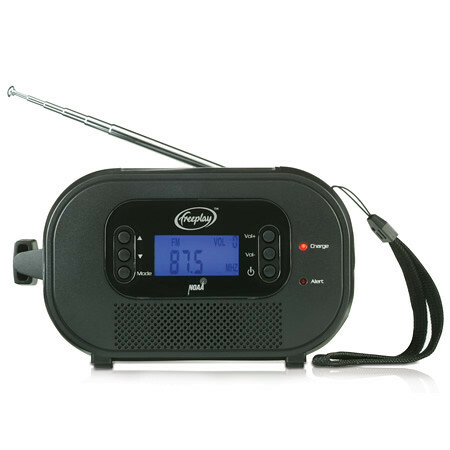 In addition to broadcasting weather alert messages, it is a full AM/FM radio, LED flashlight and clock with a solar AND hand-crank rechargeable replaceable Li-ion battery. This means that the radio can literally be used all the time as long as it is either plugged into a USB power source, pointed toward the sun or cranked by hand. And more importantly, unlike our simple radio from 2005, the Encore buddy can actually help you communicate out during and after an emergency by charging your mobile phone or other small device. Included with the radio is a baggie of various adapters and cords to help you charge a variety of devices. There was an adapter included that fit our Android phones. And while it’s hard to predict how long it would take your phone or device to charge, using the solar power or hand crank, it is estimated that you can get between 1-3 minutes of talk time for every one minute of hand cranking. 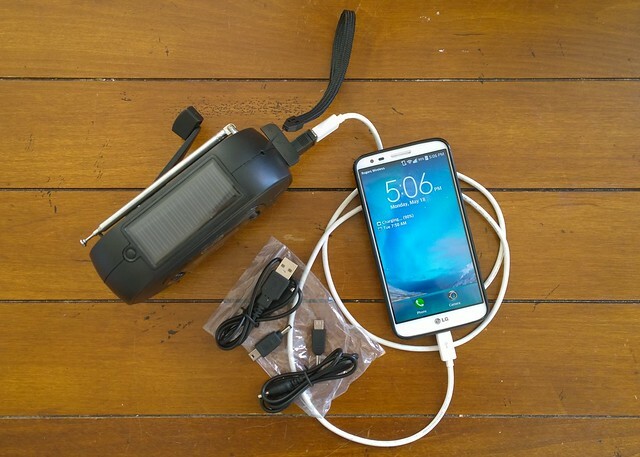 Also, because the power consumption varies so widely between devices, it’s not guaranteed that your device can fully recharge using the Encore Buddy, but most devices will charge at least enough to make critical calls using the solar and hand cranking power. The hand crank, by the way, is very easy to operate. 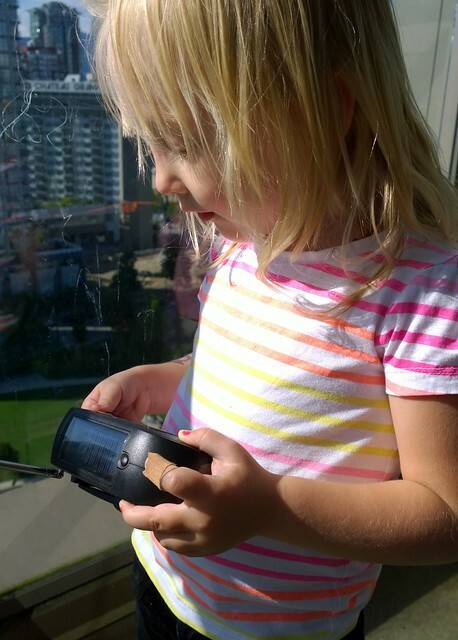 Both my two and three year old were able to easily crank the radio, so I have them do it from time to time whether the radio needs it or not. It’s good fine motor practice. The radio comes with a user guide. It’s highly recommended that you read it right away when you buy this radio, just to make sure you know how to properly store and use the device to get the most out of the rechargeable battery (like, for instance, keeping the volume quieter on the radio increases play time). The Encore Buddy is an awesome everyday device available to purchase in the US and Canada. It’s lightweight enough to take camping, but durable enough for the kids to handle around the house. The internal battery is rechargeable through a variety of means and is replaceable if it ever wears out. 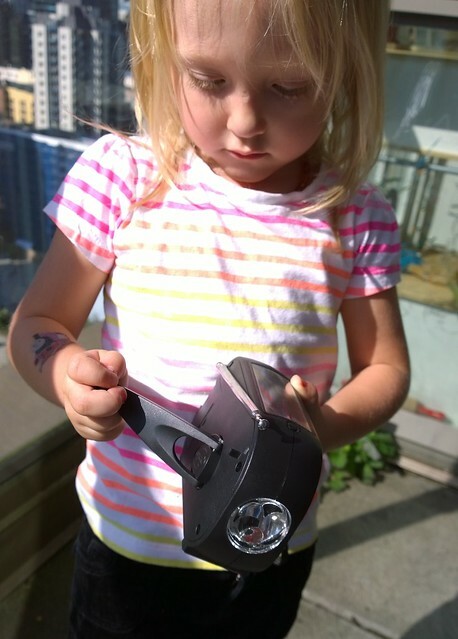 The flashlight is as bright as any household LED flashlight. If you are looking for a heavier duty version of the Encore Buddy, check out Freeplay Energy’s other cool solar and hand crank devices. We need to get one of these for our emergency kit. With all the gadgets we have nowadays, we forget that something as simple as this radio is really important to have for emergencies. 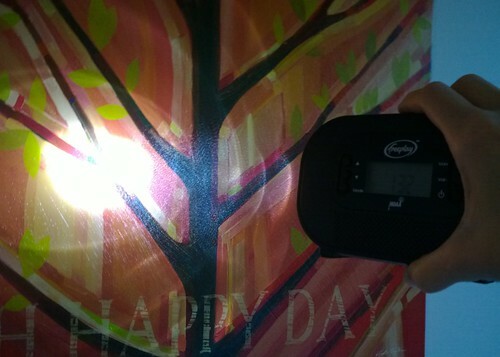 Great gadget – that would be incredibly useful in an emergency! I really like the fact you can charge up your phone a little as well to make a call if needed! The Encore Radio sounds like a necessary and critical part of an emergency kit. It has so many points in its favor that it should be a ‘must have’. Thank you so much, Allison, for telling us so much about it. The Encore Radio would be a great peace of mind to have if there was an emergency.It is the kind of gadget that would be a life saver by charging my phone for contacting people to get help.Its just something I have never thought about and I think its a great device to have. I do like this idea and the fact that you can actually use it to charge your phone etc I think is marvellous. Sounds like an awesome radio to have on hand for emergencies. It’s always good to be prepared! Very neat! This would be a great radio to bring on trips!